For the ninth consecutive year, the San Diego Brewers Guild will bring together over 100 breweries from across San Diego County for the region’s highly anticipated annual celebration of all things beer - San Diego Beer Week. 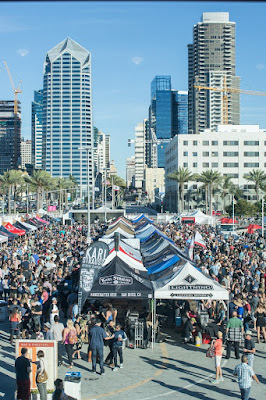 The 10-day event, beginning Friday, November 3 and continuing through Sunday, November 12, consists of more than 500 beer-centric events held at locations around the county, bookended by two always sold out extravaganzas - the San Diego Brewers Guild Festival, SDBW’s 2 day official opening event held at downtown’s Port Pavilion on Broadway Pier, and The Beer Garden, the week’s closing event held at The Lodge at Torrey Pines. SDBW is the Guild’s largest community event and is representative of their tradition of bringing craft beer to the masses while giving local brewers an opportunity to share their passion for their profession. The 2017 SDBW officially kicks off with the 15th annual two-day Guild Fest. On the evening of November 3, the VIP Brewer Takeover will be held at the Port Pavilion on Broadway Pier from 6 to 9pm. Guests to this exclusive event will have the opportunity to taste San Diego craft breweries’ finest, rare and specialty beers, as well as limited edition brews made solely for the evening. The all-inclusive ticket includes unlimited beer samples throughout the evening as well as unlimited food samples from more than a dozen local craft-beer centric restaurants. The festivities continue the next day at the San Diego Brewers Guild Festival on Saturday, November 5, from 2 to 5pm. 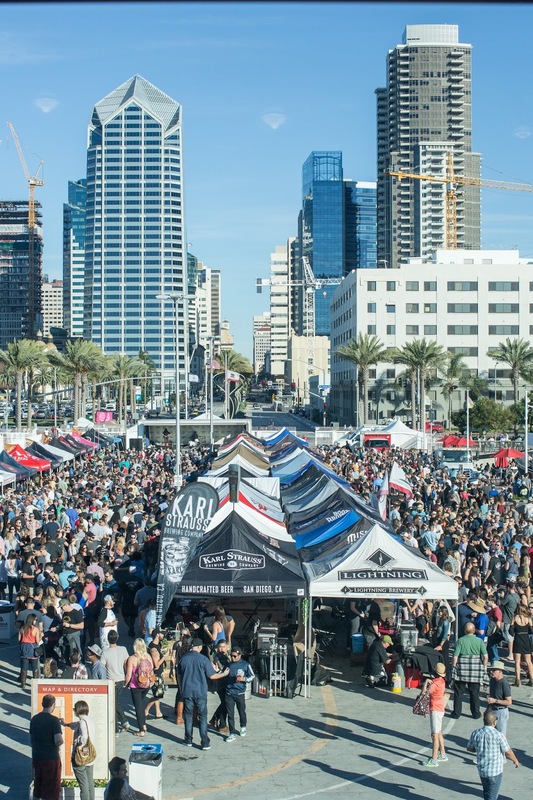 This high energy daytime beer fest features unlimited craft beer samples from over seventy San Diego breweries, food for purchase from popular local food trucks and restaurants, plus live music. Both Guild Fest events raise funds for the San Diego Brewers Guild and San Diego State University’s L. Robert Payne School of Hospitality & Tourism Management. 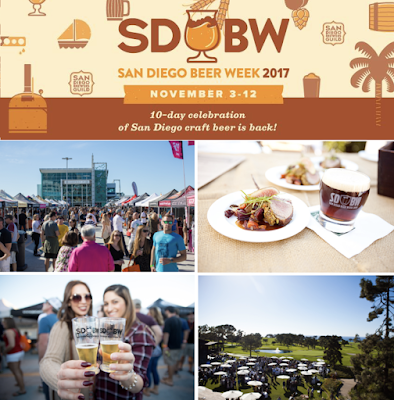 SDBW week will conclude with the highly anticipated The Beer Garden event at The Lodge at Torrey Pines on Sunday, November 12 from noon to 3pm. This year, 14 of the finest local chefs and 28 San Diego breweries will unite for a memorable afternoon of unlimited beer and gourmet food pairings. The sell-out event is a can’t-miss culmination of the week’s happenings, complete with live musical entertainment and stunning panoramic ocean views. Proceeds from the event will benefit both the Chef Celebration Foundation and the San Diego Brewers Guild. 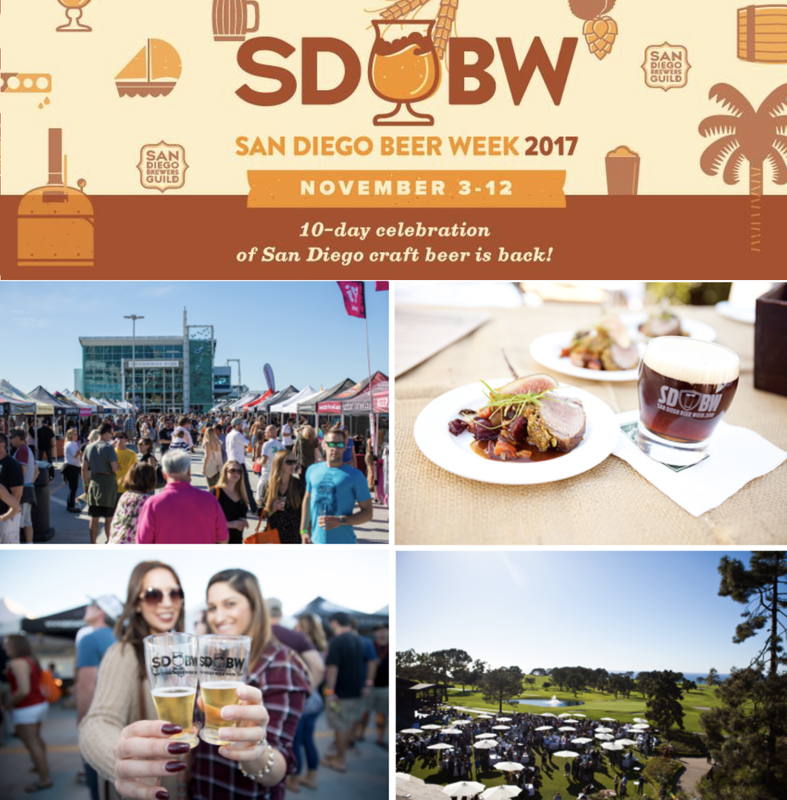 In addition to the marquee SDBW events, many of San Diego’s more than 150 craft breweries, as well as area bars and restaurants, will collaborate to offer exclusive experiences for SDBW attendees, including ‘meet the brewer’ events, brewery tours, rare beer tastings and educational events. More than 500 individual brewery hosted events will take place during SDBW, with a complete list available online. Last year’s SDBW attracted thousands of out-of-town guests from as far as 28 states and eight countries. SDBW is the only week of the year when the county's many breweries come together to host festivals, exclusive beer tastings, pairing dinners and much more to a devoted audience of craft beer fans. The many beer-centric events allow visitors to familiarize themselves with the best of region’s innovative brewing culture while simultaneously enjoying everything San Diego County has to offer. For more information about San Diego Beer Week and to purchase tickets to any of the events, visit sdbw.org.